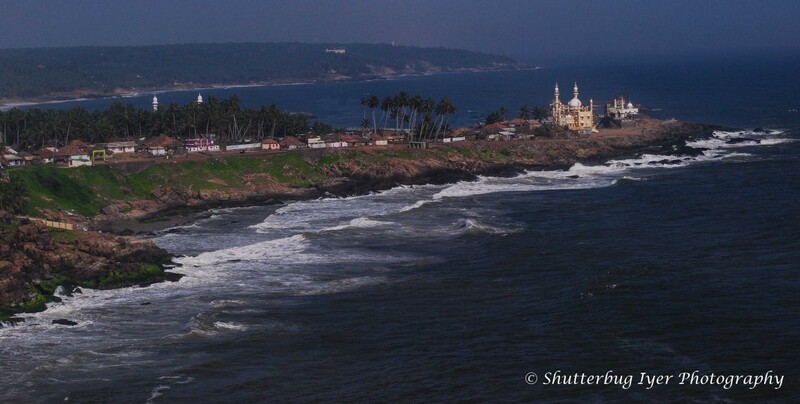 Azheekkal is a little known – unspoilt seashore near the Amritananda Ashram, Kollam. The Sri Krishna Temple at Ambalapuzha in Kerala is famous not only for the deity but also for the paal payasam. When we visited recently we were too late for the paayasam, but had good darshan and could see the temple tank in all its pristine glory. You are seeing this upside down. Pomnudi is just 55 km from Trivandrum. It is picturesque and unspoilt at an altitude of 1100 metres. A nice weekend outing from the city. Ramparts of the Fort at Anchuthengu (Anjengo) Kerala, built by British East India Company in 1696. Paratha is a staple item in Kerala today. However, the Kerala paratha is different from the Parantha of North India. For one, it made solely of maida. It is also made from spirally rolled dough. Party Office, graffiti and idle men – a common sight around the Biennale venue. Aspinwall house was a disused warehouse. The way the Kochin Biennale is organized it looks tailor-made for this event. The Kochi Muziris Biennale 2018 has a distinct bilingual typeface throughout their signages. I started liking it. Hope those who can not read Malayalam may also be able to follow the signages. Meenachil is a 78 km long river which flows through Kottayam district of Kerala. It has spiritual, economic and ecological significance to the locals. However, outsiders may not know much about this river unless we link it with the Aymenem village of ‘God of Small Things’ which is situated on this river, or with Kumarakom, where the river discharges into the Vembanad Lake. The name Meenachil is derived from Goddess Meenakshi. Several temples, churches, and mosques dot the banks of this river, reflecting the eclectic history of India. I have put together some images which showcase the landmarks as well as everyday life on the banks of Meenachil. Please have a look at this album of about 50 images. click here. Be sure to view in fullscreen. On the images click on ‘i’ for caption and more information.